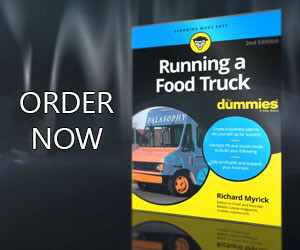 Creating a fantastic menu, providing a professional customer service program and informing customers where they will be parking next seem to be the most common goals of most food truck vendors. Unfortunately, many have yet to dive too deeply into their brand. Sure, they designed (or had designed) a great logo and wrap for their truck, but branding your food truck is much more than the aesthetics. Too many vendors continue to fail at explaining what their business has to offer to the people in their community. A lot of this seems to come down to not understanding their customers as individuals. RELATED: Food Truck Branding…What is it and why does it matter? Their social media marketing initiatives. Is the truck’s menu aesthetic and functional? Does the food truck’s brand image and reputation fit with who they are? Does it respond to customer complaints? Will the food truck follow ethical business practices? Is the food truck interesting? Is it in the news? Do people talk about it? Who speaks for the brand? Branding consistent? Are customer expectations met? So while food trucks focus on what they are doing, customers focus on how the food truck’s brand makes them feel and which of the many food truck options available to them feels most like them. Mobile food vendors need to make a shift to a more human level of interaction with their customers. It’s not enough for them to listen and respond to what their research tells them. To be truly responsive, and not just process driven, food trucks need to find ways of talking to their consumers that are more natural sounding, more personality based, more give-and-take, more intuitive, more versatile. Ultimately, the real role of social media going forward is that truck owners will need to evolve away from their instinctive nature to sell or talk about themselves. While some food truck owners are doing this, my opinion is that we will see many more follow this path in the years ahead. Along with daily tweets sharing their next location, food trucks will need to engage with customers with different conversations, some scheduled, many not, taking place at different times across a varied range of topics.